*This special 7 inch is only available with METAL HAMMER Germany 01/2019. Every METAL HAMMER Germany subscriber, with a valid annual print-subscription automatically has the opportunity to receive one of the red 7 inch vinyls (special version), limited to 666 pieces worldwide by chance, randomly picked, instead of the regular black 7 inch vinyl version that is supplemented to METAL HAMMER Germany issue 01/2019 and which every subscriber receives with his issue for free.  The red vinyl version (special version), limited to 666 pieces is not available in the regular market but only for METAL HAMMER Germany subscribers. NOTE: METAL HAMMER Germany is a magazine in German language! A subscription would mean to receive 12 issues of METAL HAMMER Germany. The order-process is in German language only. If you need help with your subscription order, get in touch with as-media@dpv.de .